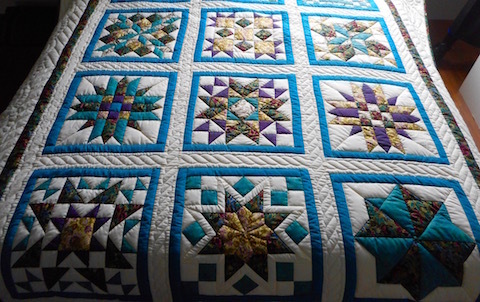 The Medallion quilt pattern originated as a teaching exercise for sewing and quilting projects. Initially comprised of various compass and star medallions, as the quilter’s skills improved, the Medallion patterns became increasingly difficult. By the mid-1700’s simple Medallion quilt patterns had come a long way, becoming the preferred and most popular quilt pattern of the day. Today it remains a favored pattern. 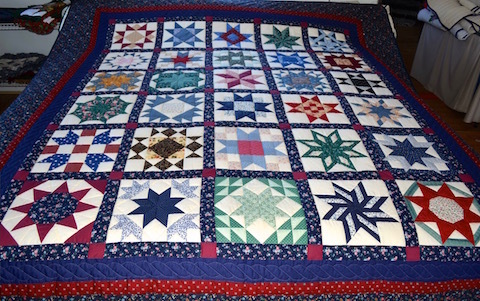 A Medallion pattern can be created via an applique technique and via paper piecing, but the truly prized Medallion quilts are those that are hand pieced, and this is how the Amish piece their quilts: fabric is connected to fabric so that all pieces are within the same plane. 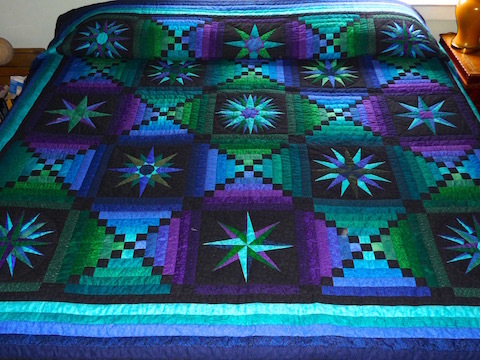 A good example of a pieced Medallion quilt is the Jinny Beyer Moon Glow quilt sold by Amish Spirit: hand pieced and of course, hand quilted.